Will The MCU Really Consider Sony's Spider-Man Spinoffs Canon? Many Marvel fans were surprised earlier today upon learning that Sony's Spider-Man spinoff films would, in fact, tie into the Marvel Cinematic Universe. For some, this would seem like a foregone conclusion, especially considering the long road it has taken to get Spider-Man into the MCU. With Marvel Studios essentially now sharing custody of the character with Sony Pictures - who owns the film rights to the web-slinger - some would have expected other characters to follow suit. The only problem? Various conflicting reports have suggested otherwise. With both Venom and Silver & Black in development, Sony appeared to be introducing what it called "Sony's Marvel Universe", which would presumably be independent from the MCU. Sony's efforts even led to speculation that Spider-Man himself would be leaving the MCU after a Spider-Man: Homecoming sequel, which were later refuted by the film's star, Tom Holland. Si Spider-Man lang ang parte ng MCU. Yung iba hindi. The bottom line is Venom will exist in Sony's Marvel Universe, without Spider-Man, while latter wallcrawler operates within the same world as the Avengers, completely independently from what Sony does with the rest of the Marvel properties. Time to upgrade from DVD to Blu-ray. Disney may buy Fox, the entertainment arm. 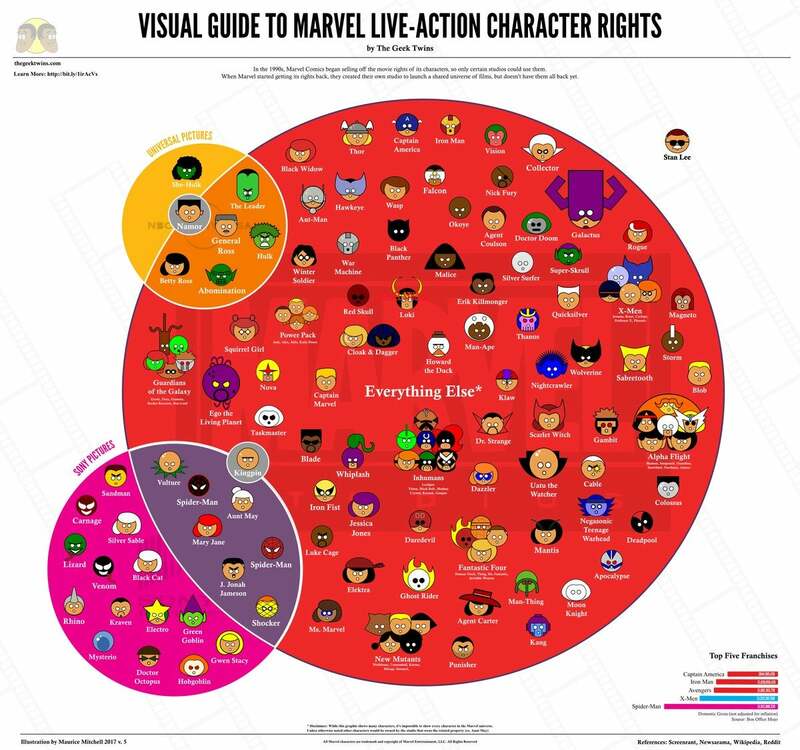 If that pushes through, we can see X-Men characters in Avengers movies. ^^kaso gusto rin ng Comcast bilhin ang Fox. ano kaya masasabi ng Mouse ? Jude Law as Captain Mar-Vell in Captain Marvel. X-Men, Fantastic Four, and Deadpool will now join the MCU after Disney acquired 21st Century Fox! The Wrap is reporting that the movie (likely called Black Widow) will be written by Jac Schaeffer. Schaeffer is most known for writing and directing 2009’s Tribeca Film TiMER as well as writing 2014s Blacklist pick The Shower starring Anne Hathaway. Her most recent work was the Disney short Olaf’s Frozen Adventure which played before last year’s Coco. Baka Guardians of the Galaxy yung 1 diyan. Wow! si Micheal V. na-meet si Nebula at Dr. Strange.